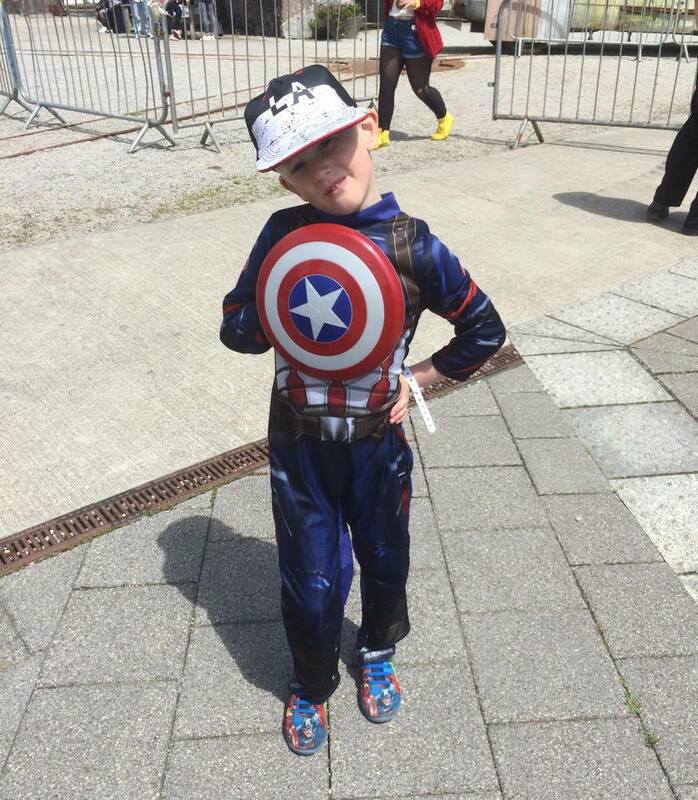 Cupcake Mumma: My Sunday Photo ~ Captain America Comes to Cornwall! My Sunday Photo ~ Captain America Comes to Cornwall! Saturday 1st July was Geekfest here in Cornwall and I spotted my very own Captain America wandering around Heartlands! We had an ace family day out! What a great Captain America he makes. Lovely photo and glad you all had a great day out. We'd definitely go as Captain America here too. He's definitely the main man isn't he? Hi Hannah, I am so glad that the streets of Cornwall are safe in the hands of Captain America! He looks totally fearless! Hope you got his autograph? He couldn't stop for long! I'm hoping to bump into him again soon! He was so cute as Cap!